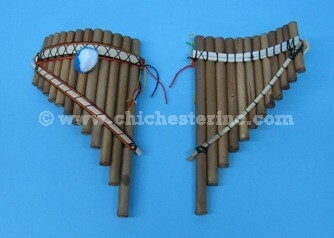 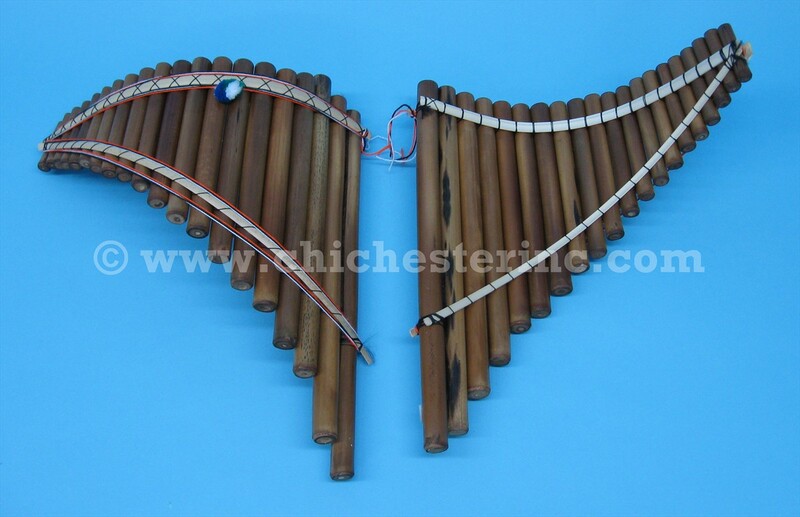 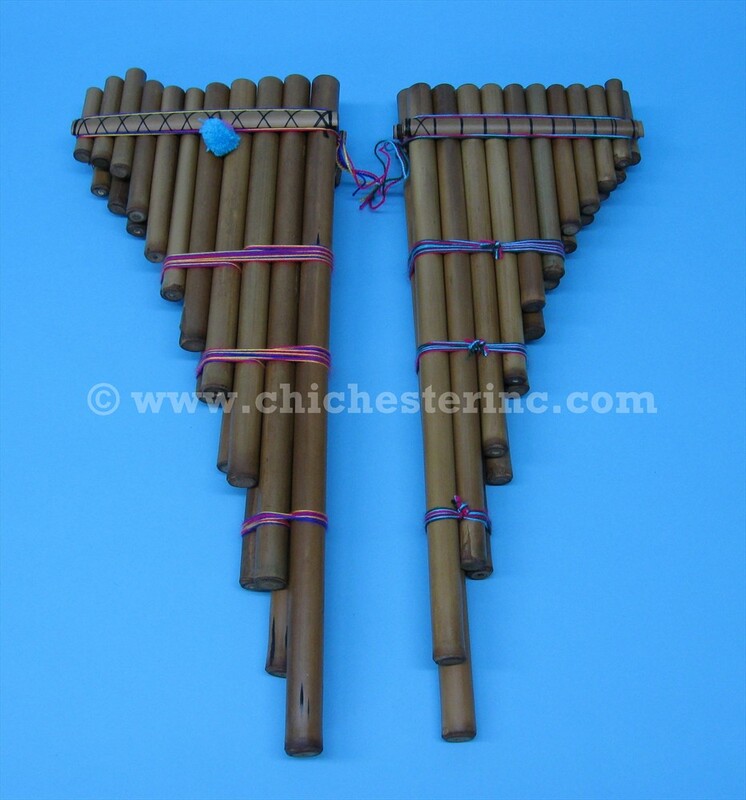 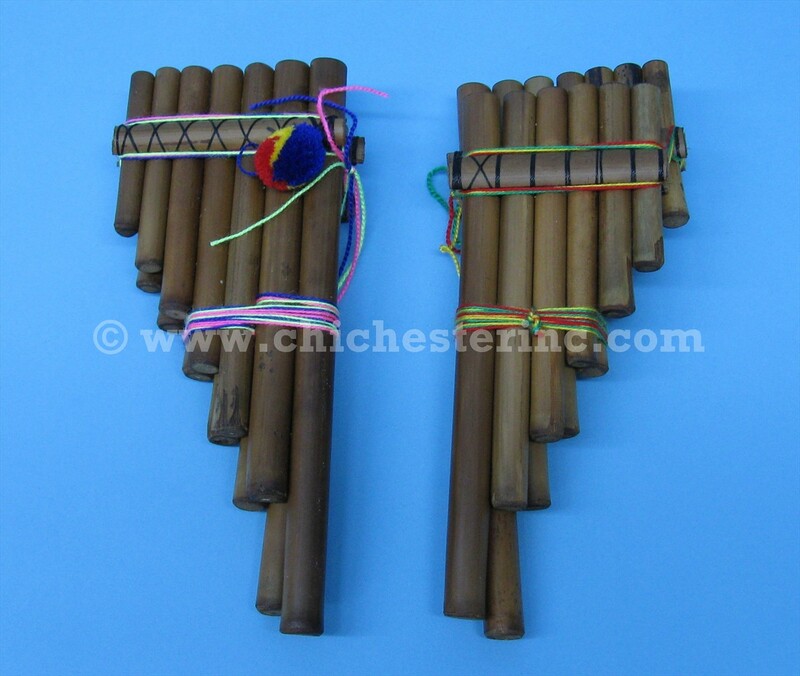 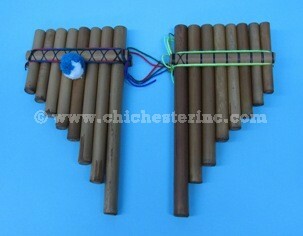 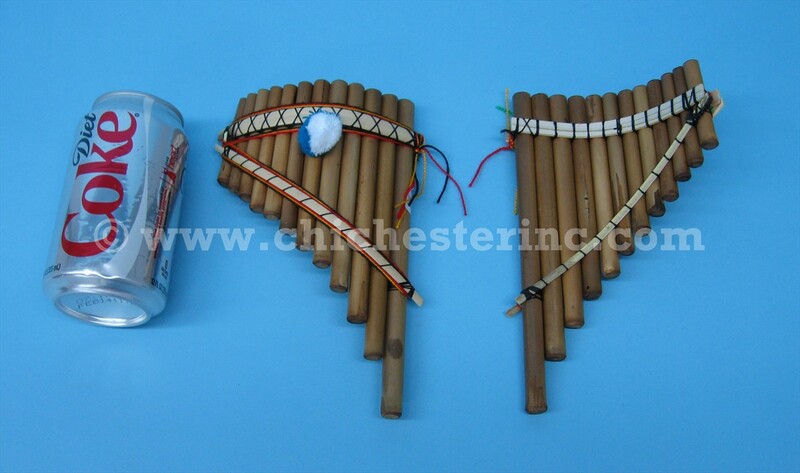 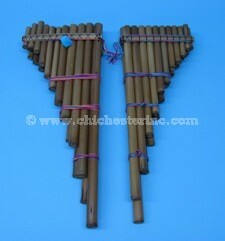 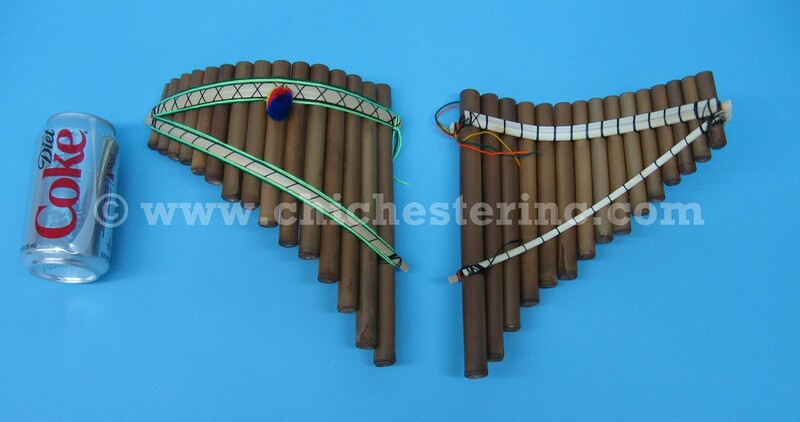 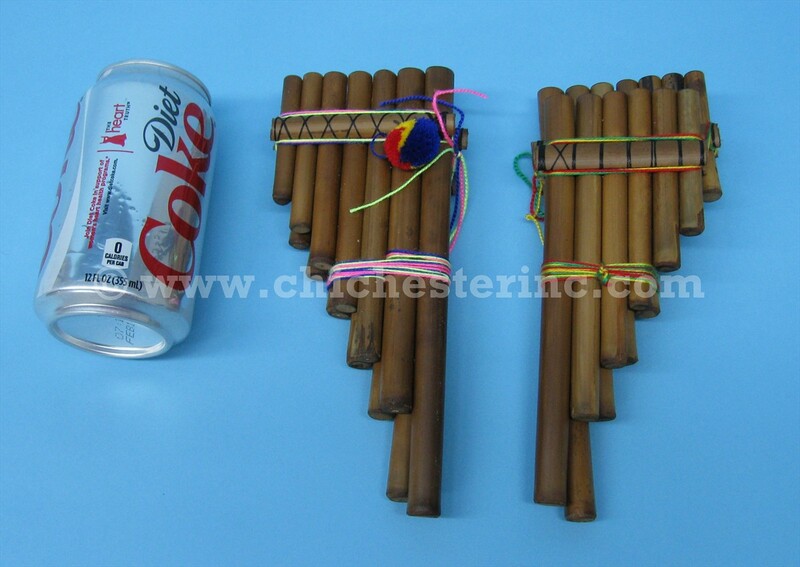 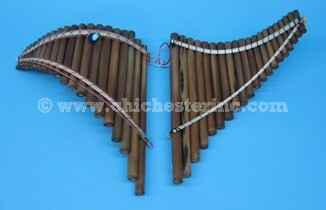 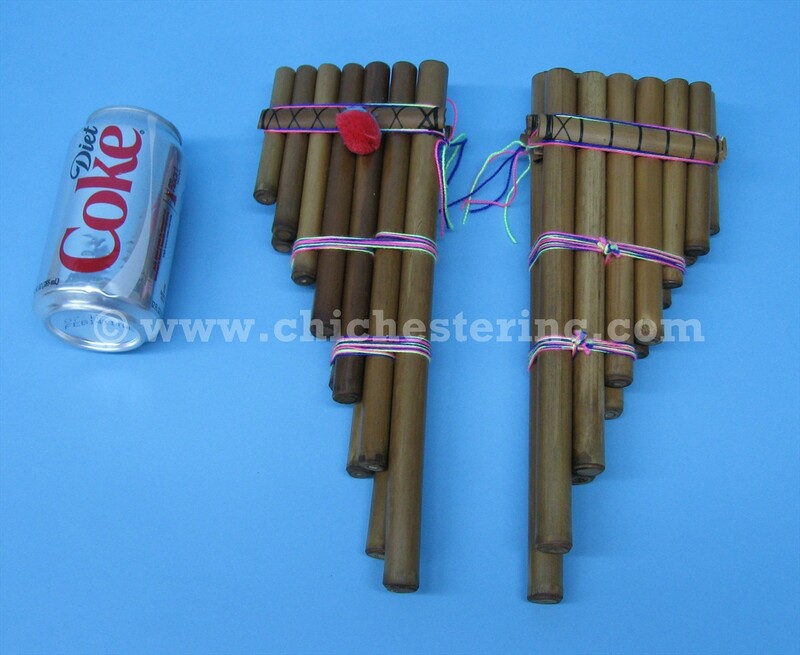 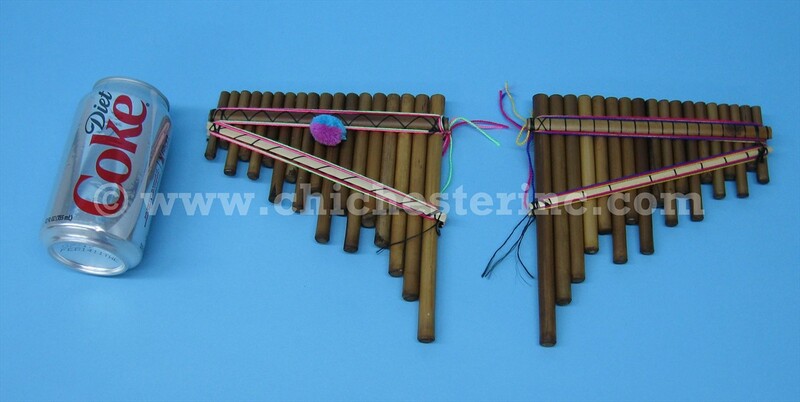 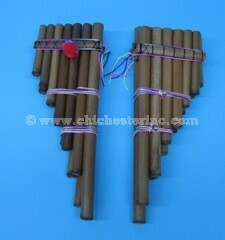 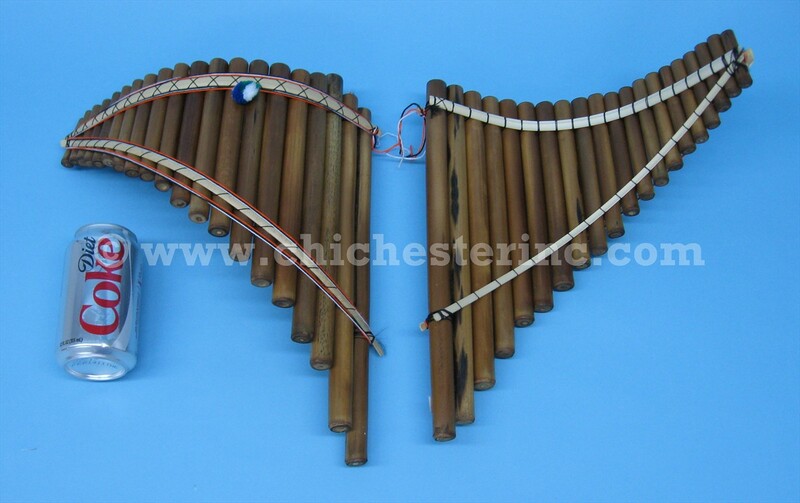 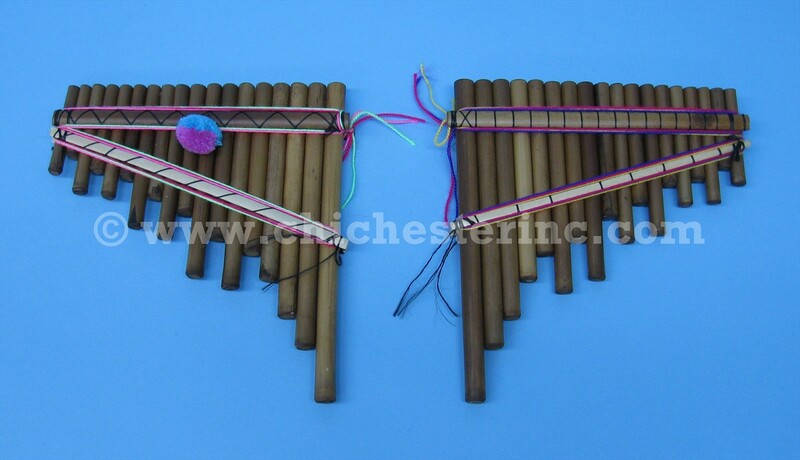 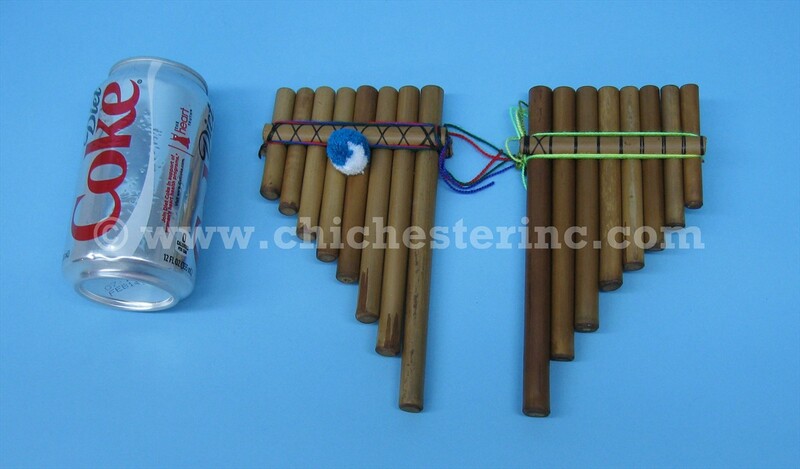 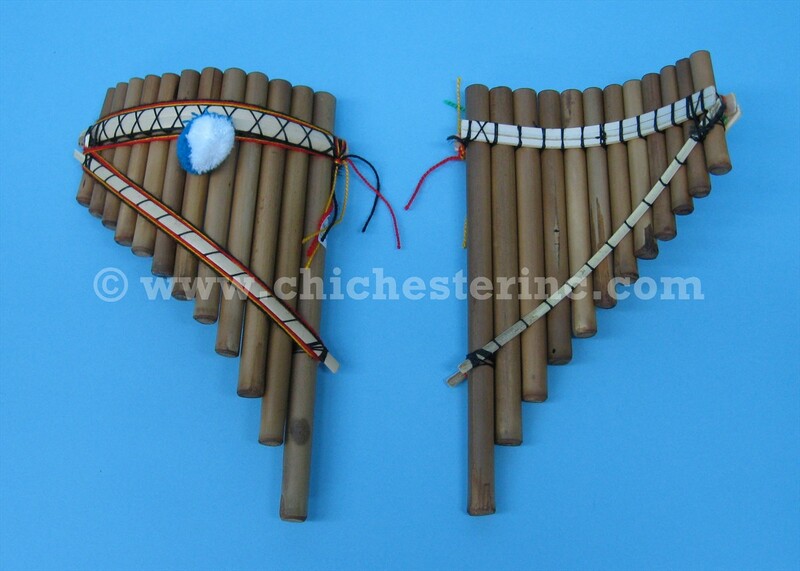 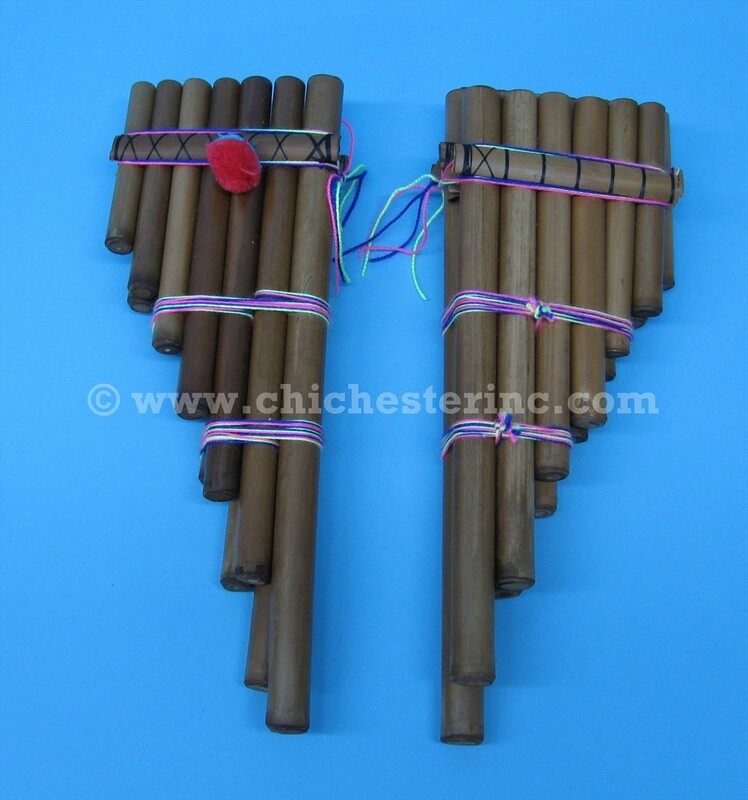 These Andean pan flutes are made by the indigenous peoples of Otavalo, Ecuador. They are made from bamboo. 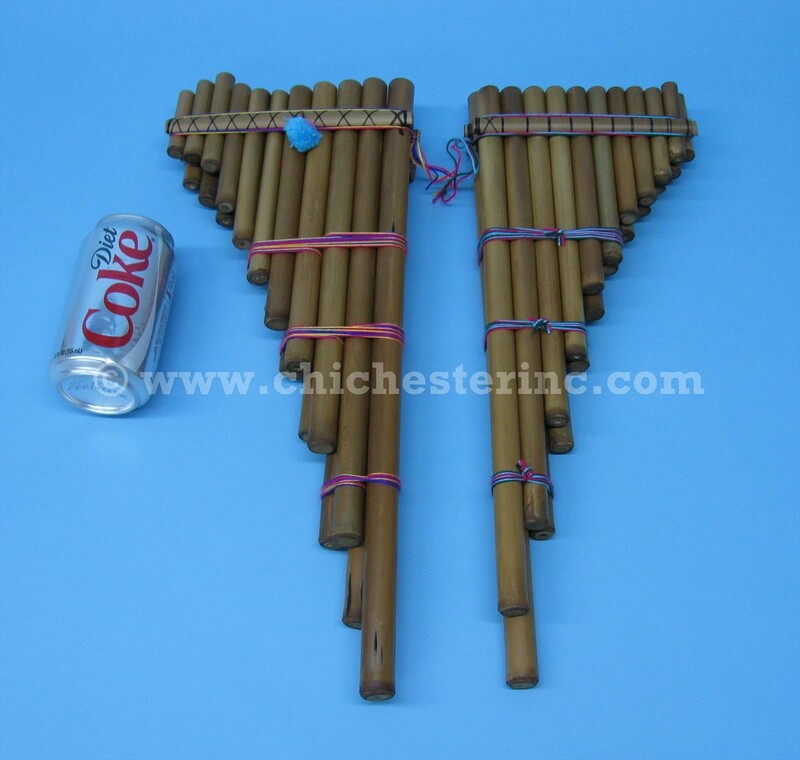 Please see below for pictures and measurements of each type of flute. 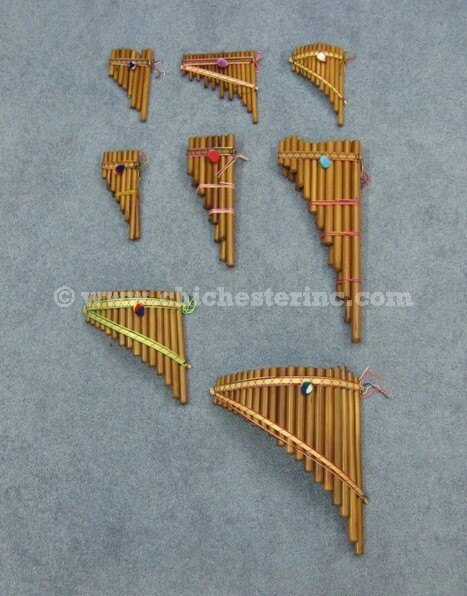 See below for videos showing the flutes being played by the maker in his workshop. 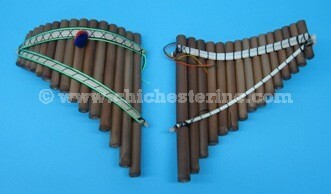 Length of Longest Tube: 7"
The picture shows front on the left and back on the right. Length of Longest Tube: 8"
Length of Longest Tube: 11.5"
Length of Longest Tube: 17"
Length of Longest Tube: 9"
Length of Longest Tube: 13.5"